Ever since six acres were cleared and house built in 1813, there has been a farming presence on the site that is now home to Truro Vineyards of Cape Cod. Returning from the Far East in around 1850 a ship’s captain brought with him a Chinese Mulberry tree which was planted outside the house. This exotic tree has grown to quite the size over the last 160 years and a visit to the vineyard simply to see this amazing tree is not uncommon. In 1992, the farm was converted into a vineyard and winery by Kathy Gregow and Judy Wimer and in 2006 they decided that it was time to move on and they put the property up for sale. Dave and Kathy Roberts have lived in Truro for 45 years and were friends with Kathy and Judy, and were frequent visitors to the vineyard. At the time, Dave was in the process of selling a distribution business, and his career had included working at Diageo (best known for brands such as Tanqueray gin, Smirnoff vodka, Johnnie Walker and Guinness amongst others) for 40 years. 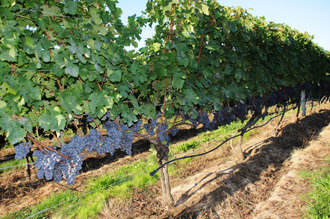 One fateful day, Dave decided to take a bike ride and upon his return he took his wife completely by surprise by declaring “I think we should buy Truro Vineyards.” Dave’s idea was that it could be run as a family business with their children being very actively involved in the day-to-day management of the property as well as co-owners. Dave’s daughter Kristen Yingling, laughs as she recalls her mother’s reaction. Kristen and her family lived in Boston at the time and Kristen worked in sales and marketing. Her brother Dave Roberts Jr. lived in Atlanta where he worked as a master brewer in a microbrewery. A few discussions were had amongst the family, including Kristen’s sister Stephanie, but it wasn’t until the family gathered in Atlanta for Thanksgiving in 2006, that Dave Senior’s idea evolved to solid intent. On March 1st 2007, the family were the proud owners of Truro Vineyards and they were set to open for business on April 1 - just a month later. A very short period of time, particularly as none of the family had been in the wine making business before. “It was a very stressful yet exciting time for all of us,” Kristen continues. 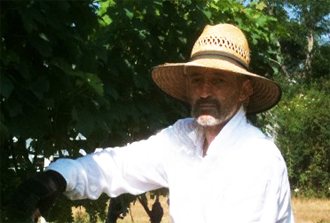 “Dave and myself both had to move with our families and we were working in a new industry and had a lot to learn.” They were assisted by the existing owners who stayed on for a month or two and by Matyas Vosel, a winemaker who stayed on at the vineyard and is an integral part of the business today. Matyas and Dave Jr. are the winemakers, with Kristen taking responsibility for the sales and marketing. While Stephanie is a silent partner, Kathy (Dave’s wife) runs the onsite shop. In every sense this is a family owned and operated business. With a family that was formerly spread along the East Coast, was there a concern about living in close proximity and working together? The opportunity to live in Truro year round was simply too appealing to miss and the couple, who now have two young daughters themselves, are very happy with their decision. Dave Jr. and his wife Amy now live in Wellfleet and having successfully navigated their first year, the business has flourished. One of the local selectmen recently remarked to Dave Senior that the vineyard had become the ‘social center’ of the community. This comment can almost certainly be attributed to the extensive efforts that are made to help and raise money for local charities. Without exception the new wines developed by Matyas and Dave Jr. have been successful - an extraordinary feat. 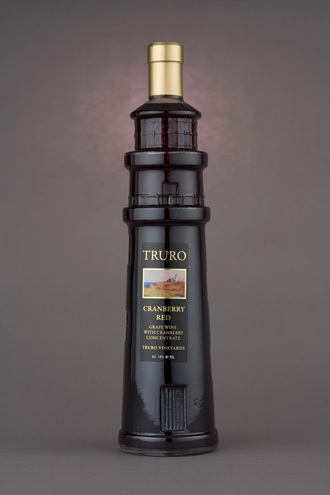 Their latest series of wines is the Lighthouse Wine Series which come in beautiful lighthouse shaped bottles. For further information, do not hesitate to contact the delightful folks at Truro Vineyards of Cape Cod. 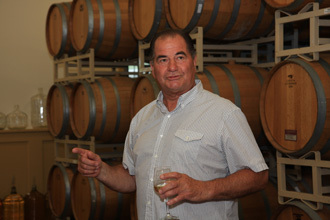 Truro Vineyards will reopen at the beginning of April 2011 at weekends and full time in May 2011. Please check their website or call for exact dates and times.